For the first time, Sainsbury is starting to sell a series of edible insects worth £ 1.50 in the UK supermarket. Experts already predicted that they would serve as the future of food. The "crispy roasted barbecue smoked crickets" will soon be available in 250 stores across the country. Sainsbury's has become the first high street supermarket in the United Kingdom to supply edible insects. From Sunday, grilled crickets with barbecue flavor will be available in 250 stores across the country. The "crispy and crunchy barbecue grills of Eat Grub" are described as "crispy in texture with a rich smoky taste". Insect packages cost £ 1.50.
food source in some countries of the world. The larvae have been for sale for at least five months in the online Ocado supermarket, with mixed reviews. One poster, giving the product one star out of five, said: "My husband ... said they knew nothing about barbecue ... what could I taste, was fish sauce? Too expensive too". But another, who gave the full 5/5, said: "I tasted the final taste in this Eat Grub selection and I LOVE this, much tastier than a bag of chips without the calories." I could not stop eating them! Sainsbury suggests that crickets can be eaten as a snack or to decorate dishes such as tacos, noodles and salads. Eat Grub was founded in 2014 by Shami Radia and Neil Whippey to allow people living in Western countries to try a food source that is widely available in other parts of the world. Mr Radia said: "Two billion people currently eat and enjoy insects. "We are on a mission to show the West that they are not only very environmentally and sustainability-related, but also very tasty and should not be overlooked as a great ingredient in sandwiches or recipes." Sainsbury's and EatGrub say that insects are more popular than one would expect, because a survey showed that 10% of Britons tested them and more than half of them enjoyed it. 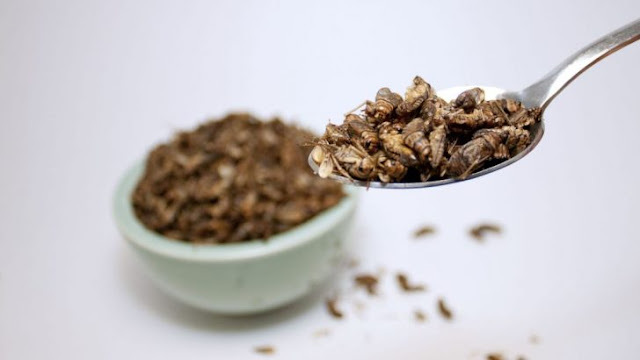 Eat Grub says dry crickets contain more protein per gram than beef, chicken or pork, with 68 g of protein per 100 g compared to 31 g of protein in beef. It is also said that edible insects are more durable than other meat, occupy less land and require less feed for animals than cattle. 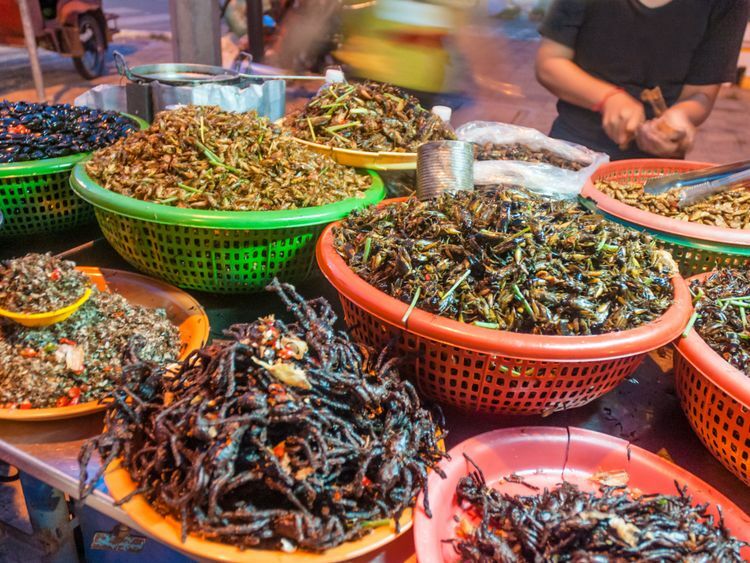 WWF's food policy manager, Duncan Williamson, said that edible insects can help reduce buyers' carbon footprint. He said: "As the population grows, we urgently need to look for alternative sources of protein to get the most out of the land available for food production."